Syquest got you in a spin? 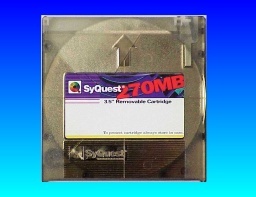 Our friendly team is happy to help recover your data from Syquest and Nomai MCD disks and cartridges. The disks can be labelled as Power User, Electronique D2, Philips,Spin Peripherals, NuDesign (NuDesign), KAO, Maxell, SyDOS, PCLine, Disk Cartridges. They were used on Apple Mac (Macintosh PowerPC) and ODS Windows PC Computers. 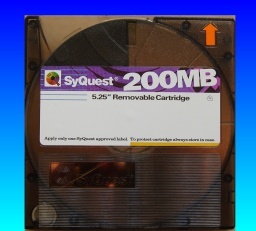 Syquest started as a manufacturer of hard disk drives, however they were more popularly known for a range of removable media cartridge drives aimed at desktop publishing, multimedia, document information management, pre-press, audio, video, digital photography, data backup and file archiving. Their 5.25" inch removable cartridge drives 44MB,88MB,200MB capacities were commonly used on Apple Mac systems. Their EZDrive systems were equivalent to Iomega ZIP drives, and the Syjet were aimed at the Jaz disks, although Iomega appeared to have faired better than Syquest in the long term. EZFlyer was offered as an uprated version of the EZDrive EZ135. The Sparq drive offered lower storage cost than the Syjet drives but early drives suffered quality problems. 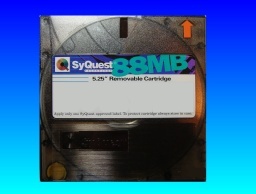 Click for Syquest Disk Transfer & Data Recovery News. 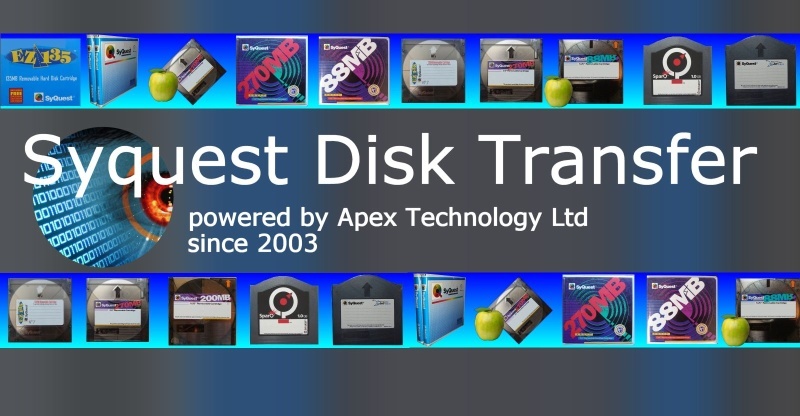 Click for Syquest Disk Transfer & Data Recovery Reviews. SQ555 drive/SQ400 cartridge - 44MB 5.25". SQ5110 drive/SQ800 cartridge - 88MB 5.25". SQ5200C drive/SQ2000 cartridge - 200MB 5.25" SQ200. SQ3105 drive/SQ310 cartridge - 105MB. SQ3270 drive/SQ327 cartridge - 270MB. MCD Nomai Multimedia Storage Technology Disk - 270MB. EZ135 EZDrive 135/EZ135 cartridge - 135MB 3.5" removable cartridge disc. 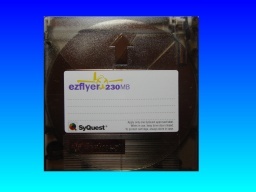 EZFlyer EZFlyer 230 drive/EZ230 cartridge - 230MB 3.5" removable cartridge disk. 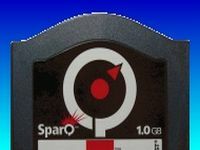 SparQ drive/SparQ cartridge - 1.0GB 3.5" removable cartridge drive. 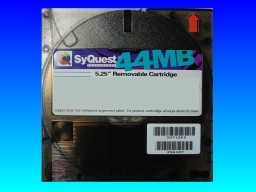 Common problems from Syquest discs. - Disc that contains bad clusters. Syquest Sparq SyJet EzFlyer File Transfer and Conversions problems that we recover data from are listed below. Syquest transfer CD, Sparq transfer CD, SjJet transfer CD, EzFlyer transfer CD, Syquest Transfer, Syquest data transfer, syquest data recovery, Nomai MCD. 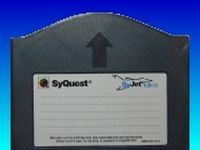 Syquest Sparq SyJet EzFlyer EZ135 EZ230 EZDrive 44MB 88MB 135MB 230MB 105MB 270MB 1.0GB 1.5GB Removable Hard Disk Cartridge Files Data Transfer Convert Mac.